Ernest T. Bass makes his intentions known to Charlene Darling. 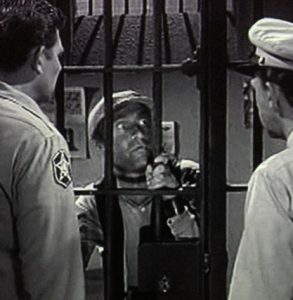 Ernest T. wants to wear a uniform. Andy attempts to pass Ernest T. off as a sophisticate at a society party. Ernest T. is tutored by Andy. Ernest T. and Malcolm fight over being the crossing guard.